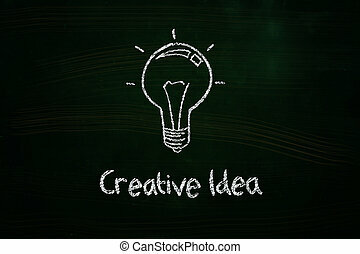 Creative idea. 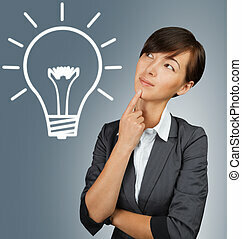 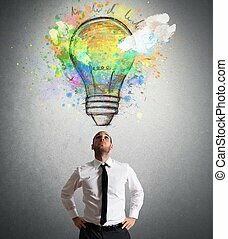 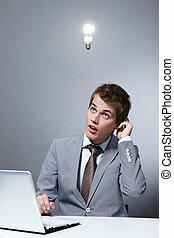 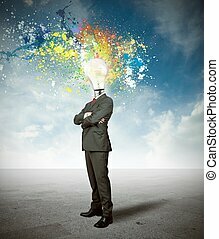 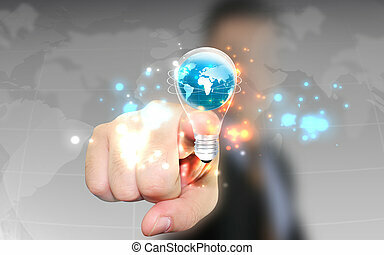 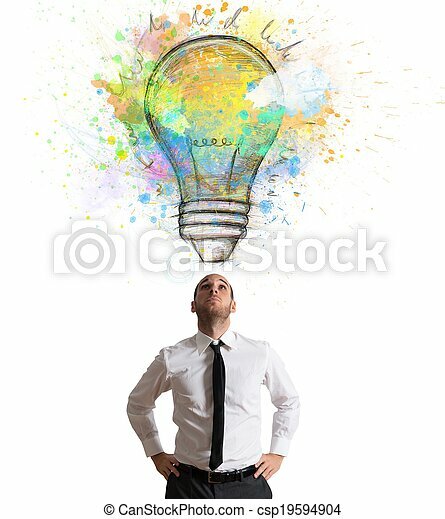 Businessman illuminated with a big creative idea. 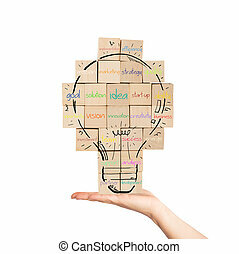 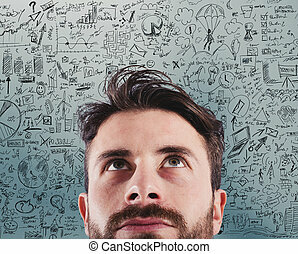 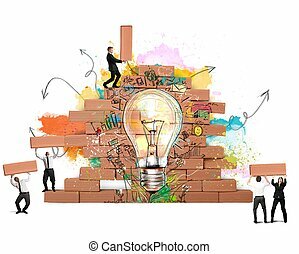 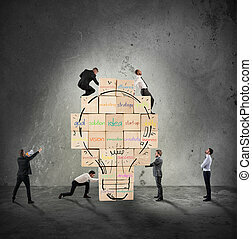 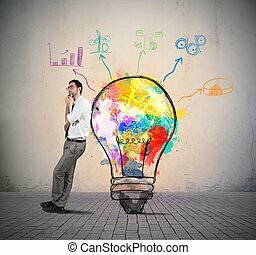 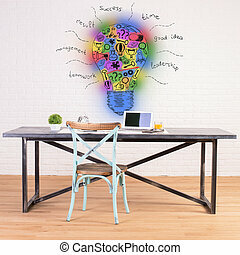 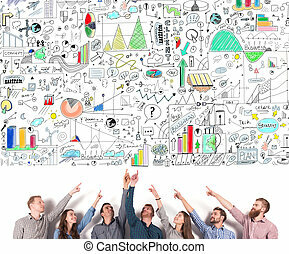 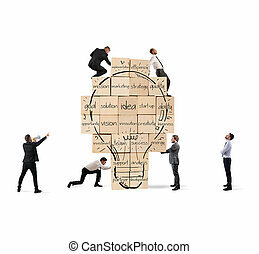 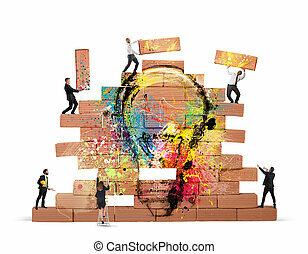 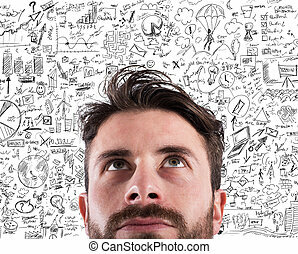 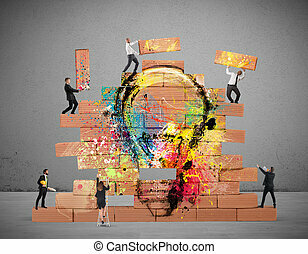 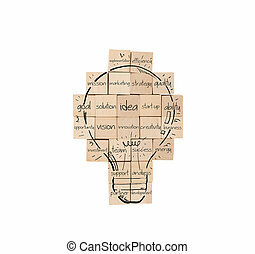 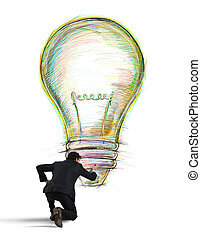 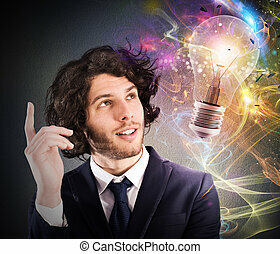 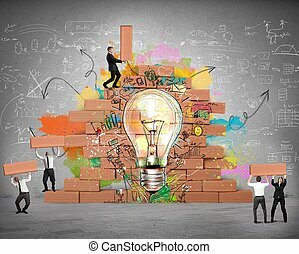 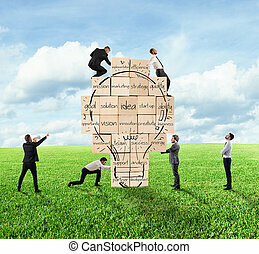 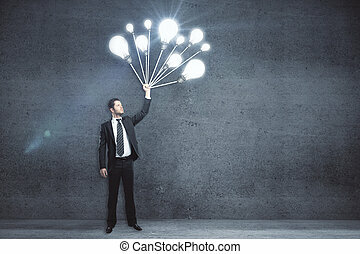 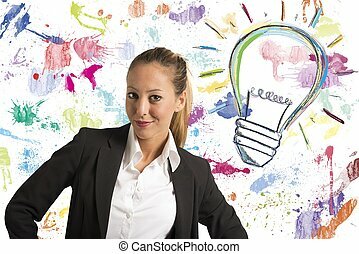 Business person built together a big brick wall with drawn lightbulb with business terms. 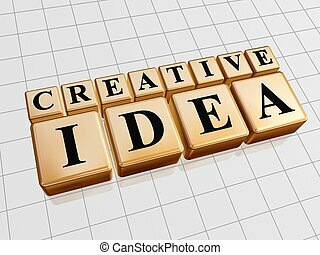 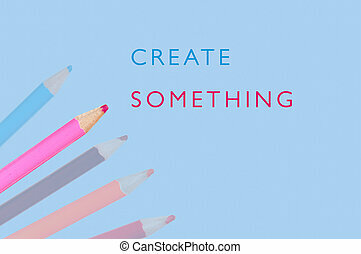 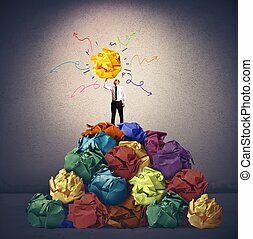 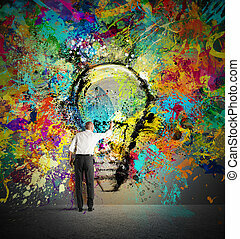 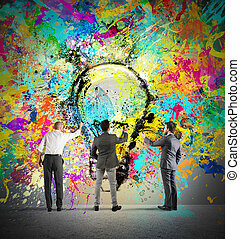 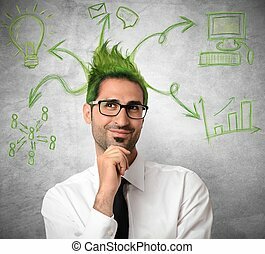 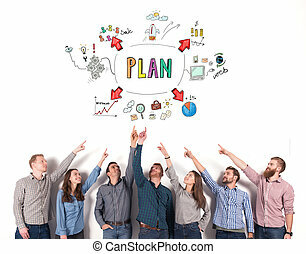 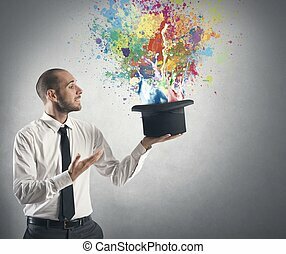 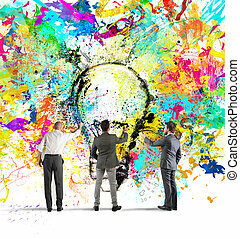 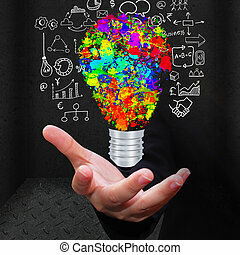 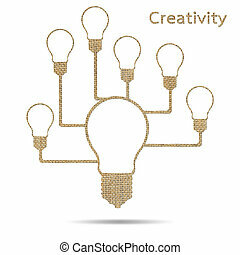 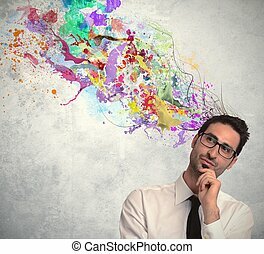 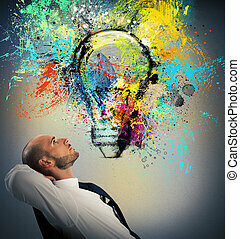 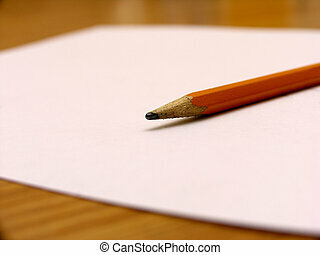 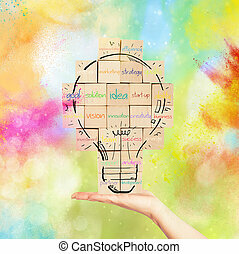 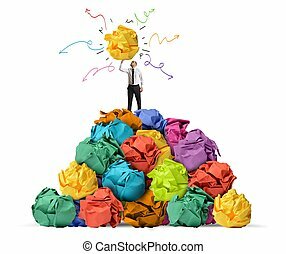 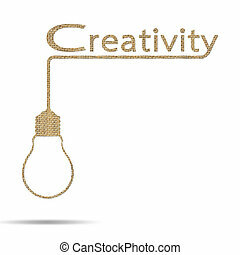 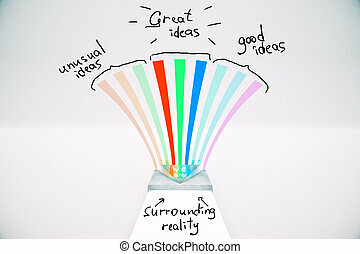 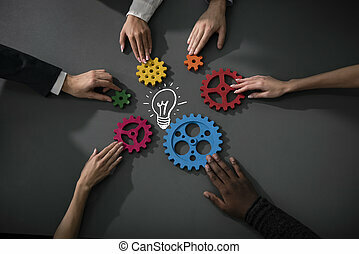 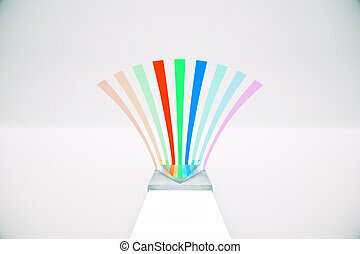 Concept of creating a new idea.